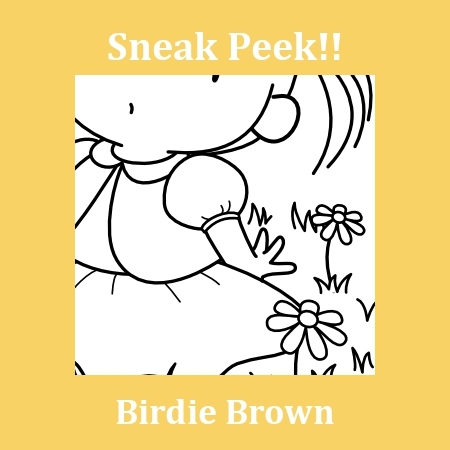 Birdie Brown: Sneak Peek #1! This month two new digital stamps are going to be released. Here is a sneak peek for one of them. Be sure to check out my FB page too! Oh she looks so cute! I wonder what she's looking surprised about?!! oooh she looks very cute! Can't wait to see the full image! Thanks for the heads-up! Can't wait to see your new releases!